Tim J. MacMillan isn’t what you’d call predictable. When asked about his work, the New York City-based playwright describes it as dramatic comedy, and proceeds to give examples of recent plays that sound, well, amazingly “out there.” And when one of his plays, Soul mates don’t die, was selected for the 2011 Chicago Fringe Festival, he decided he’d raise the show’s $3000 production budget (which calls for a full size mannequin that he wrote into the script) by doing something bold and blister-inducing. Rather than organizing a bake sale or a bar night, MacMillan is literally biking from NYC to Chicago in 10 days, and people can follow his journey on his blog and lend their support via his Rockethub page. When I called MacMillan a few days ago, he was about 200 miles outside of New York, powering through the hills of Pennsylvania. Highlights of that conversation, edited for clarity and length, follow. So you’re two days in. How do you feel? Man! My legs are burning! These hills are killer. The hardest part, however, is just not getting lost. We plotted the trip on Google maps, but we’re still having a hard time finding all the roads and turns. Thankfully Mike [MacMillan’s campaign road manager] has GPS on his phone! Why biking? Why not a bake sale? It’s so much easier! 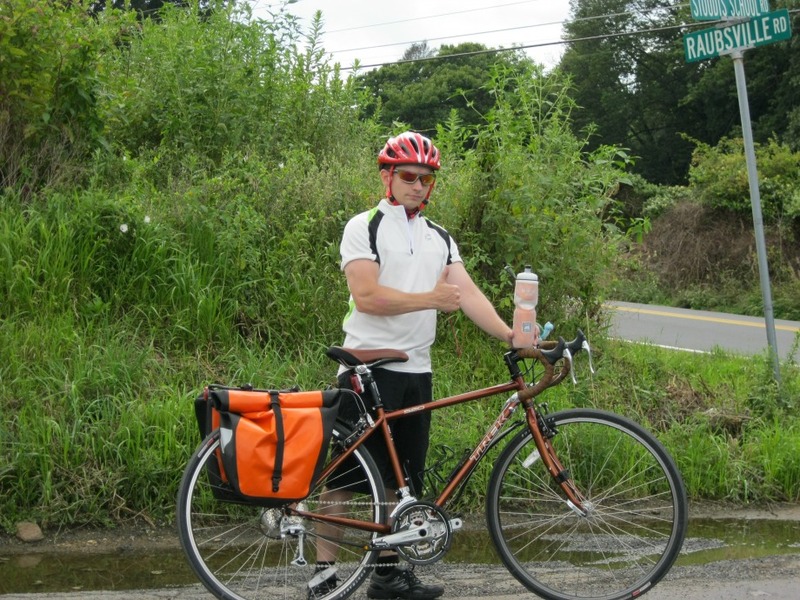 I’ve really gotten into biking recently, and I thought it would be a unique way to combine my newfound passion while helping raise money for this play. I mean, I’m the type of person who doesn’t like to wait around for things to happen — let’s just get it done! That’s why I have my own production company. What’s been the hardest thing so far about bringing this play to life — aside from this little 800 mile quest of yours? After I submitted the play and it was accepted into the Fringe Festival, I realized I had to edit it from its original 90 minute format to the required 60 minutes. Killing your babies is hard.